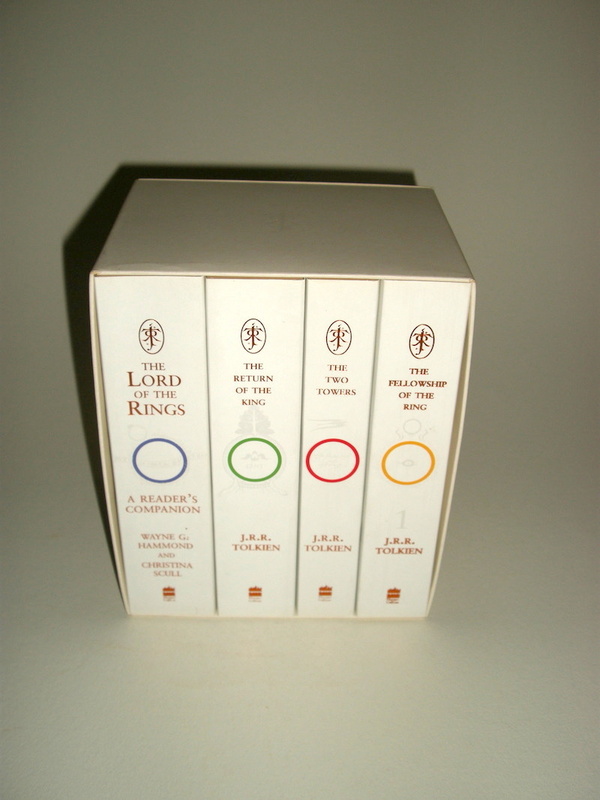 Released in 2005 by HarperCollins to celebrate the 50th anniversary of The Lord of the Rings. J.R.R. 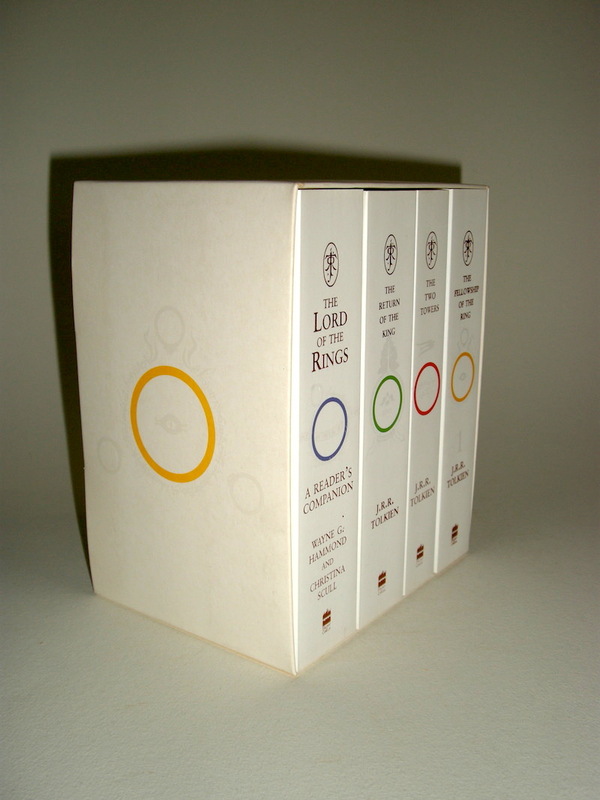 Tolkien, The Lord of the Rings / A Reader's Companion, 50th Anniversary Edition paperback set. This set includes: J.R.R. 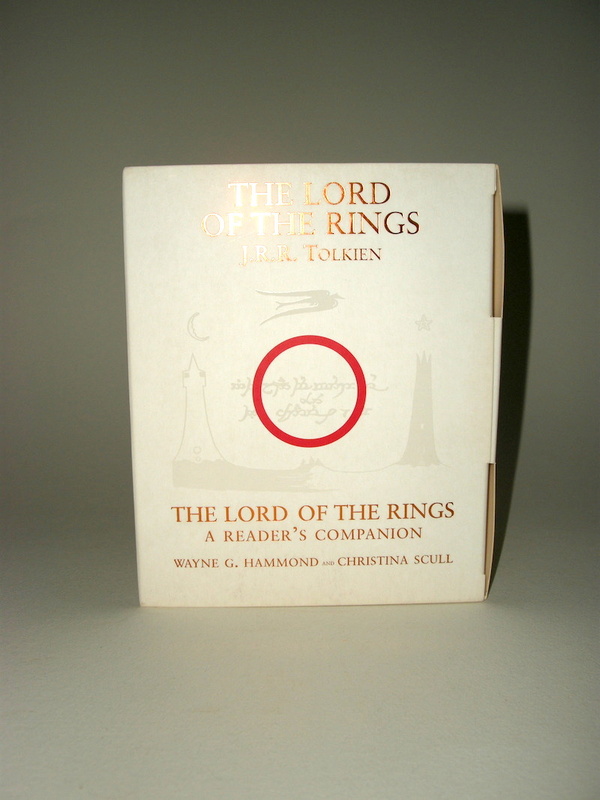 Tolkien's The Fellowship of the Ring, The Two Towers, The Return of the King and The Lord of the Rings: A Reader's Companion by Wayne G. Hammond and Christina Scull. 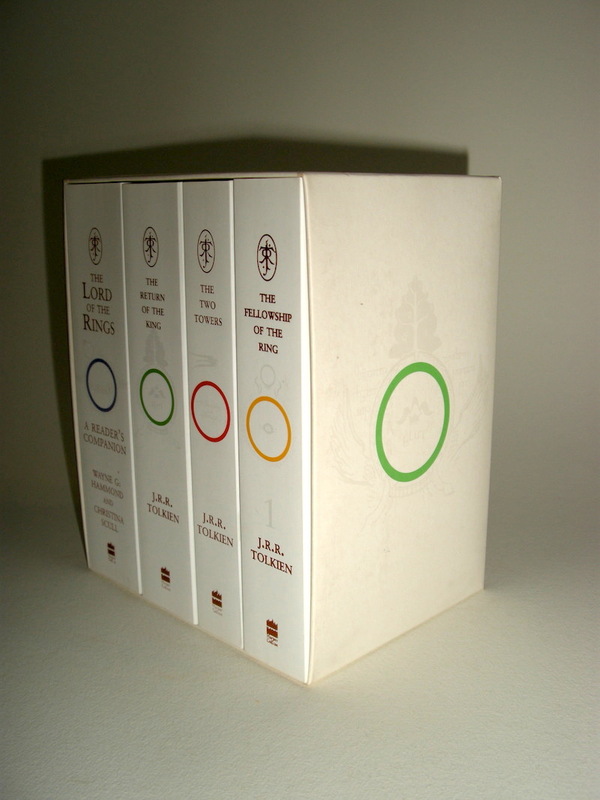 The Fellowship of the Ring is the 1st printing 2005, HarperCollins paperback. 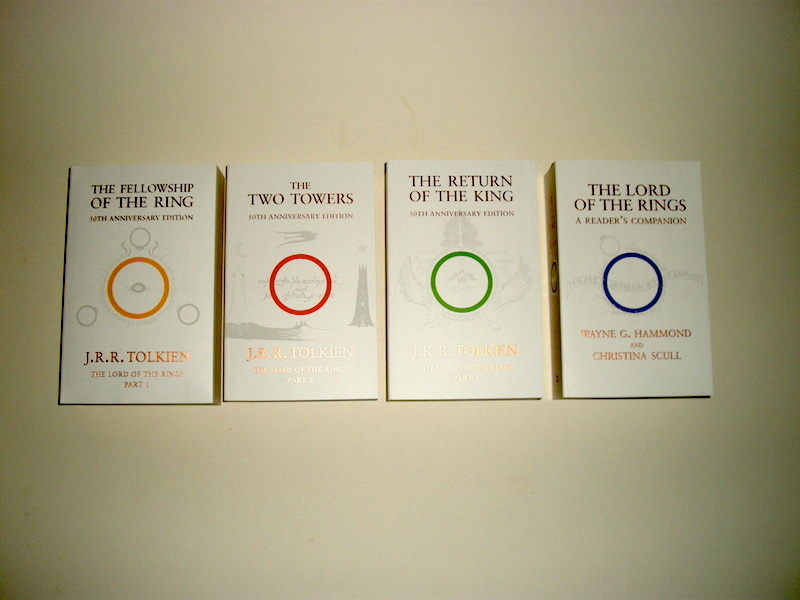 The Two Towers is the 1st printing 2005, HarperCollins paperback. The Return of the King is the 1st printing 2005, HarperCollins paperback. 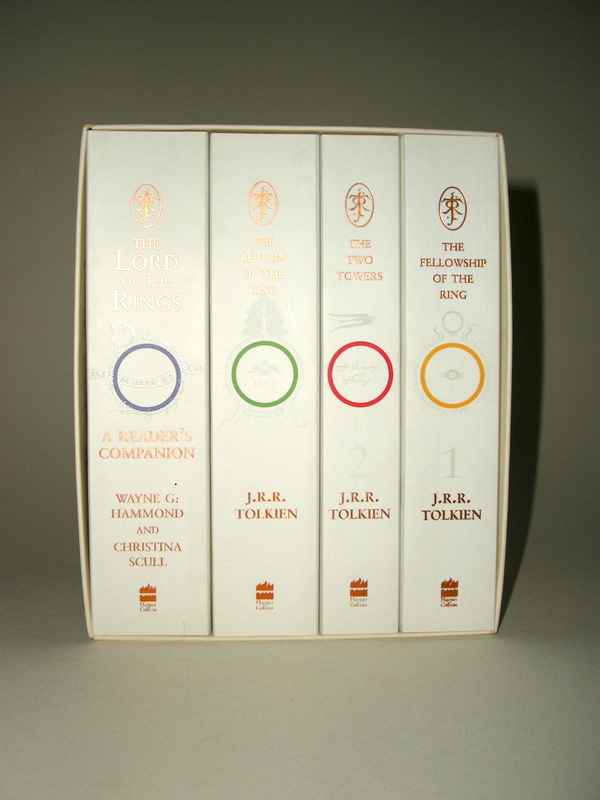 The Lord of the Rings: A Reader's Companion is the 1st printing 2005, HarperCollins paperback. ISBN's 0 00 720358 6, 0 00 720355 1, 0 00 720356 X and 0 00 720907 X. Paperbacks. Issued in a white slipcase. Book covers and slipcase with designs by J.R.R. Tolkien and ISBN 0 00 720363 2. These paperbacks and slipcase are in mint unread like new condition.